Finally!!!! I am back to blogging after a long long time. It seems like i have been away for ages. So I m sure all of you have been part of this whole “GAGA” about Omega 3 fish oils and how good it is to take omega 3 supplements or as a matter of fact any fish oil supplements, am I right or am I right!!!!! Many of my clients come to me with omega 3 fish oil capsule and say “Radhika this one is amazing. They say this comes from Salmon fish and you know salmon has the best fish oil.” I completely agree but with just a part of this statement. 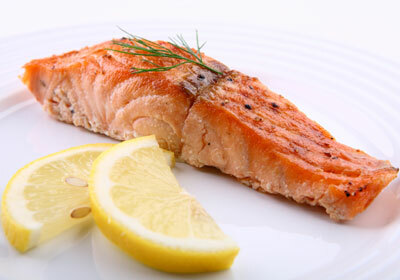 Salmon is excellent source of Omega 3 fatty acids with amazing benefits but, what kind of SALMON? Do you know what kind of SALMON is used to make the capsule you are about to gulp down? Where has it come from? How was it caught? Dr. Jonny Bowden says in his book on 150 healthiest foods on earth “If you and I have a discussion about the health benefits of SALMON, and I am thinking “WILD SALMON” and you are thinking “FARMED SALMON”, we may think we are talking about the same food, but we re not.” – Bowden 2007, pp 215. We call that cute little Tommy and shweet little kitty “PETS” but that does not mean they are the same creatures. What is “WILD” And what is “FARMED” you may ask..
Wild Caught SALMON is the SALMON which is fished from its natural habitat, Direct from OCEANS vs. Farmed SALMON- The FARM RAISED VARIETY, raised by fish farmers. SALMON is by far one of the best source of omega 3 fatty acids on this planet. Omega 3’s are good for heart, brain, inflammation, circulation, memory and blood sugar control. This said and done, it does matter where your SALMON is coming from especially if you are serious about getting your 16 omega 3’s. The Omega 3 fats found in SALMON are made from the food that the fish eats. This is just like any other creature on this earth. We all build our bones, muscles, tissues from what we eat correct!!!!! So, if the SALMON is eating its natural diet in the wild, we are getting a fish filled with wonderful OMEGA 3 fats. But, the FARM-RAISED variety does not get the luxury of choosing its own special diet, the “NATURAL ONE”. The Farm raised SALMON are fed GRAIN. YUP you heard it right. The farm raised SALMON is far far away from its natural diet. End Result- A fish with very little omega 3 fats. This isn’t it, the farmed variety contains more inflammatory fats, the omega 6’s (Bowden 2007; PP 216). 30% of the Daily Value of NIACIN. So, Next time when someone tried to sell you any omega 3 supplements or any fish oil supplement for that matter, remember to check the source of that fish along with the type of fish used.